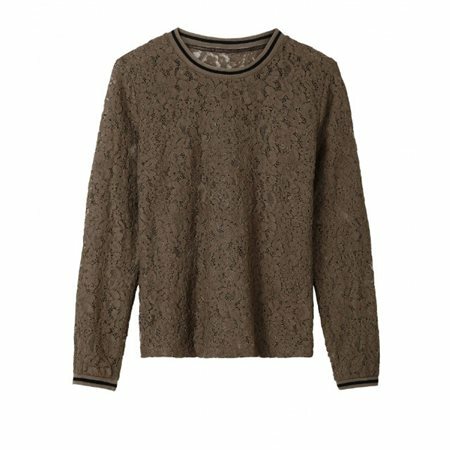 Go for a feminine look with this beautiful lace top. The top has floral lace which makes the top slightly transparent. The striped collar gives the top a sporty twist. Lace doesnt have to be formal, you can also make it casual with a pair of jeans and a snuggly cardigan.